Sunpan’s Madero Square Coffee T able has a monumental quality you don’t expect in a “coffee table” – a powerful, low profile sculpture for your home that is, indeed, the right size and shape for serving coffee, stacking books, depositing your tablet.. 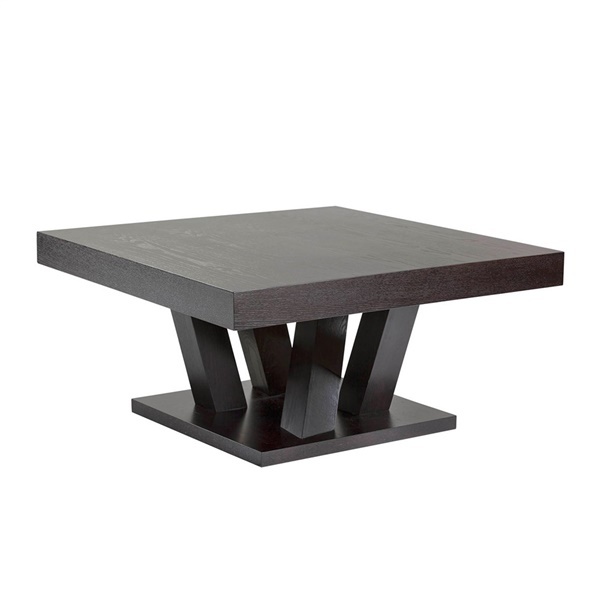 Useful like any good table, it brings real originality to the whole room. The strong, square foot and top are joined by supports that angle and cross like the tree branches that inspired this design range.